In today’s world, it is very desirable to prevent unauthorized access to elevators. 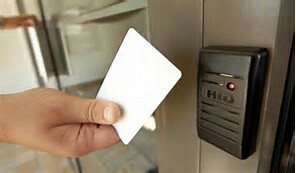 Many buildings now choose to add access control to their elevator systems. These systems can take many forms, from a simple time clock system that disables hall or car buttons during off hours, to key switches and keypads, and of course card readers. Should your situation require access control, our trained staff will work with your security vendor to provide a seamless project. Our team is highly experienced, having installed many different types of elevator access security systems over the years. Contact us to assist you upgrade your elevator’s security systems.